Dreams' Time Capsule /// research project by Eva Frapiccini – Research and participatory project by Eva Frapiccini. The visitors of the Yorkshire Sculpture Park (YSP) had the chance to step into the inflatable installation of the Dreams’ Time Capsule project and record their dreams, from 21 to 31 July 2016. It has been the first venue of the project in the United Kingdom. The installation was positioned in the YSP’s Formal Garden, the event curated by Damon Waldock had seen the participation of hundreds of people who donated their own dream to the audio archive in progress. During the ten-days-long venue, approximately 342 people participated in the project recording their own memory of a dream. A special thank to the whole YSP staff, the curator Damon Waldock, and the technicians of the museum for their collaboration. Dreams’ Time Capsule is inspired by the Jungian concept of a Collective Unconscious – a level of the unconscious shared with members of the human species comprising dormant memories from our ancestral and evolutionary past. The Dreams’ Time Capsule project has been invited by the Maraya Art Centre to be installed at the Al Qasba area and the Al Majaz park in Sharjah, United Arab Emirates. During the four-days-long event, curated by Alexandra MacGilp, visitors have stepped into the itinerant installation to share one of their own dreams. In so doing, they have contributed to expanding the audio archive (to date about 1470 dreams’ descriptions). From 22nd to 24th March and on 27th March, about 150 participants have participated in the project. We want to thank all the collaborators: Alicia, Rode, Ruby, Vivien, and Ali. Our best greetings to the director Giuseppe Moscatello and the Maraya Art Centre staff who made it possible. Eva Frapiccini’s residency program in Sharjah was supported by FARE Milano in partnership with the Maraya Art Centre. The Dreams’ Time Capsule project has been invited by the Maraya Art Centre for a two-days-long presentation at the SIKKA Art Fair in Dubai, during Art Dubai and the Art Week. This year, the SIKKA Art Fair took place from 13th – 24th March, at the Al Fahidi Historical Neighbourhood, in Bur Dubai, the heart of the city. The DTC project has been available for visitors on March 18th and 19th, from 4 p.m. to 8 p.m. More than 100 people have shared the space. Among them, about 60 people have contributed to the audio archive recording one of their dreams. Many thanks to the fantastic staff of the Maraya Art Centre, the curator Alexandra Helen Macgilp, the programme manager Dana Al Sadek, the director Giuseppe Moscatello, all the volunteers who helped during the 8 hours-long events, and the brilliant staff of the Sikka Art Fair. Thanks to everyone for helping us with the installation, the involvement of the public, and the communication of the event. A special thank to Fare Milano, which has supported Eva Frapiccini’s residency at the Maraya Art Centre, in Sharjah. Dreams’ Time Capsule will participate in Art Week which takes place from 13 – 19 March 2016, in Dubai. The Artist Eva Frapiccini is Maraya Art Centre’s resident artist in partnership with FARE, Milan. Her project Dreams’ Time Capsule will be on view at Sikka Art Fair, Dubai, then move to Sharjah to Maraya Art Centre, at Al Qasba, and then Al Majaz Waterfront. After the United Arab Emirates, the project will travel to the United Kingdom, to be exposed at the Yorkshire Sculpture Park, in July 2016. 21th September 2016 | 7 p.m. In conversation: Eva Frapiccini, visual artist and Ph.D researcher in Fine Art & Cultural Studies, University of Leeds, United Kingdom; El-Sayed El Aswad, professor of Anthropology at Department of Sociology, UAE University, Abu Dhabi; Janet Bellotto, Associate Dean College of Arts and Creative Enterprises, Zayed University, Dubai, and Alexandra Helen Macgilp, curator at the Maraya Art Centre, Sharjah. The book Working Geographies RESÒ International Art Exchange Residency Program, edited by Mousse Publishing, Milano, was presented during the last edition of Artissima Art Fair. Resò is the international art residency program for Piedmont, run in collaboration with leading Piedmont institutions for contemporary art and education, the platform is supported and promoted by the Foundation for Modern and Contemporary Art CRT. The selection of the artists involved has been made by a committee representing the institutions involved in Piedmont (Sandretto Re Rebaudengo Foundation, Castello di Rivoli Museo d’Arte Contemporanea,Unidee Cittadellarte, Spinola Banna Foundation for Art, CeSAC, PAV-Parco d’Arte Vivente) and in the residencies partners of the program (the Townhouse Gallery, Cairo; Khoj International Artists Association, New Delhi; Capacete, Rio de Janeiro; Lugar a Dudas, Cali) book embodies all the works of the artists selected for the residency program from 2010 until 2015. We publish an expert of the catalog published in November 2015, with a text by the curator Luisa Perlo (a.titolo). 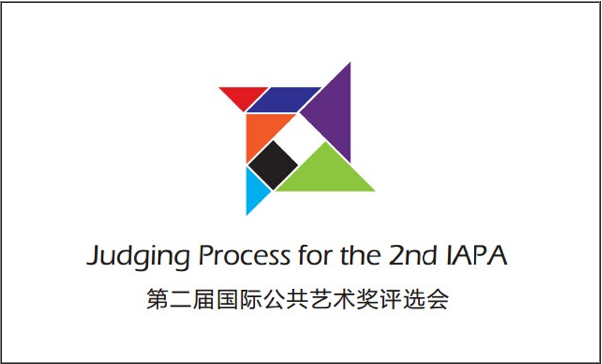 The IAPA was established to increase visibility for public art internationally and is administered by the Institute for Public Art (based in Hong Kong) in collaboration with Forecast Public Art (USA) and Shanghai University (China). Over the past few months, the IAPA have reached out to artists, public art administrators, organisations, scholars, curators and aficionados around the world. The Dreams’ Time Capsule project was hosted at the Castello di Rivoli Museo d’Arte Contemporanea, in Rivoli, from June to September 2014. Eva Frapiccini was invited to participate in the group exhibition Ritratto dell’ Artista da Giovane | Portrait of the artist as Young (Wo)man, curated by Marcella Beccaria. The exhibitions explored the remarkable development of contemporary art in Italy over the last 10 years, including 25 artists, from the latest generations promoted by the Museum thanks to the generous contribution of the Castello’s friends. In the same exhibition, there was a selection of the work in progress Dream Diary, in which Frapiccini uses some of the dreams of the Dreams Tim Capsule project’s audio archive.